January 2001 Clark Sparks was lost from the vessel Canyon Enterprise. 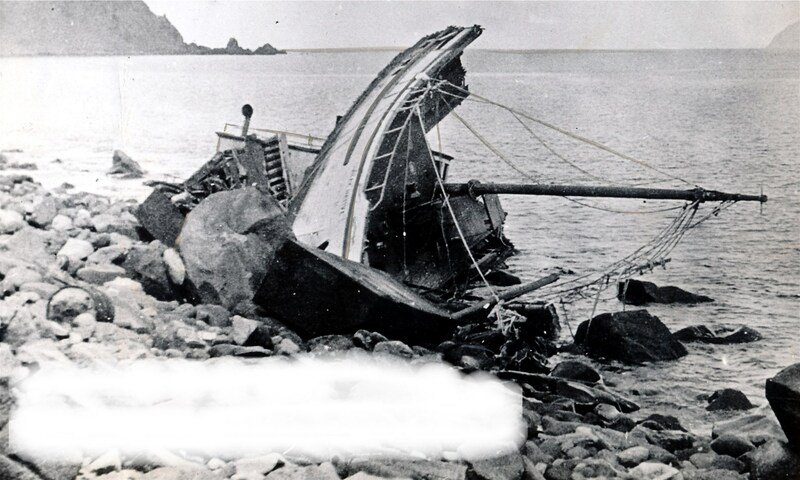 February 12, 2001 An unnamed skiff loaded with beach sand capsized and sank near Stack Island and one of two persons onboard was lost. Roger Delong (59) and his wife Lana were able to swim to shore and seek shelter but Mr Delong expired during the night. Mrs Delong was rescued the following day. 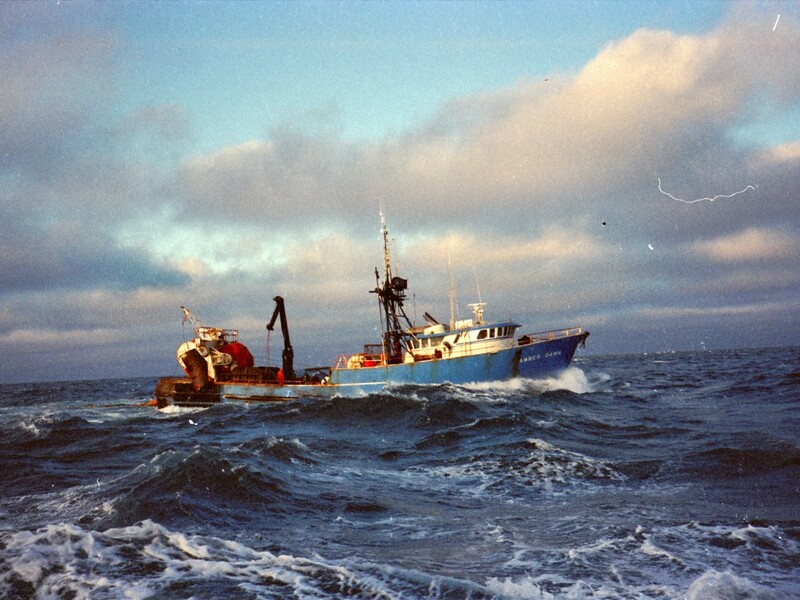 February 15, 2001 A crewmember was lost overboard from the 200 foot fishing vessel Heather C.
March 5, 2001 The 91 foot steel trawler Amber Dawn was lost in heavy weather six miles north of Atka Island in the Aleutians. Three of five crewmembers were rescued by the 267 foot processing vessel Katie Ann. Lost were crewmen Doug Rowe of Seaview WA and Roman Telak of Seattle WA. The lazarette was believed to have flooded causing the disaster. April 2, 2001 The 92 foot steel cod trawler Arctic Rose was lost with all hands 200 miles NW of St Paul Island. The vessel had 15 crewmembers aboard when she went down. Preliminary reports indicated the Arctic Rose may have flooded her lazarette in heavy weather causing the disaster. Lost with the Arctic Rose were Captain David Rundall, Aaron Broderick, Jimmy Conrad, Edward Haynes, G W Kandris, Kenneth Kivlin, Jeff Meincke, Mike Olney, Shawn Bouchard, James Mills, Kerry Egan, Angel Mendez, Alexandro Ortiz Espino, Justino Opoll Romero and Alejandro Cortes. April 7, 2001 Joshua Ferguson was lost after falling overboard from the 46 foot steel longline cod fishing vessel Heidi Kay between Monashka Bay and Kodiak. June 21, 2001 The 29 foot fiberglass salmon gillnetter Blue Falcon lost a crewmember overboard two miles below the Naknek River. June 25, 2001 The operator of the 27 foot fiberglass salmon gillnetter Kendra Rose was knocked unconscious and drowned when the vessel ran onto the rocks in Prince William Sound. July 22, 2001 A crewmember disappeared from the deck of the 32 foot aluminum salmon gillnetter Lorelle Renee in Bristol Bay near Ugashik. The vessel was under way when the crewmember went out on deck and was never seen again. August 15, 2001 One person was lost from an unnamed 18 foot wooden rod and reel halibut fishing vessel near Nunivak Island. October 17, 2001 Scott Powell (36) was washed overboard and lost from the 124 foot steel crab fishing vessel Exito in the Bering Sea when the vessel was struck by a massive wave. Three other crewmembers were injured. Powell’s body was recovered by the fishing vessel Elizabeth F.
October 28, 2001 Robert Hanscomb was lost when the 42 foot steel shrimp fishing vessel Ocean Sunrise capsized in rough weather 19 nautical miles west of Ketchikan in Cholmondeley Sound. Hanscomb’s wife Terisa was rescued from the water by the fishing vessel Nina Fay. Concerning the crewman lost April 7, 2001, his name was Joshua Ferguson. We had just left Kodiak on a pot cod trip. I was the skipper. It was a flat calm, beautiful day. Nobody saw him go over. Thanks Brent. I will update the 2001 losses on this site and in the ALASKA SHIPWRECKS book. RIP Josh.